You are here: Home › Fun › Perfect Stocking Stuffer for Your Peppa Pig Fanatic! Even though my 3 older kids are 8, 7 & 6 they still get a kick out of watching Peppa Pig episodes. They still search them on their Ipads and tablets to enjoy on their own or show to their baby sister. Personally I love listening to the accents of all the characters and hubby and I always have fun trying to talk like daddy pig or mummy pig to the kids. It’s an ongoing joke for our family. 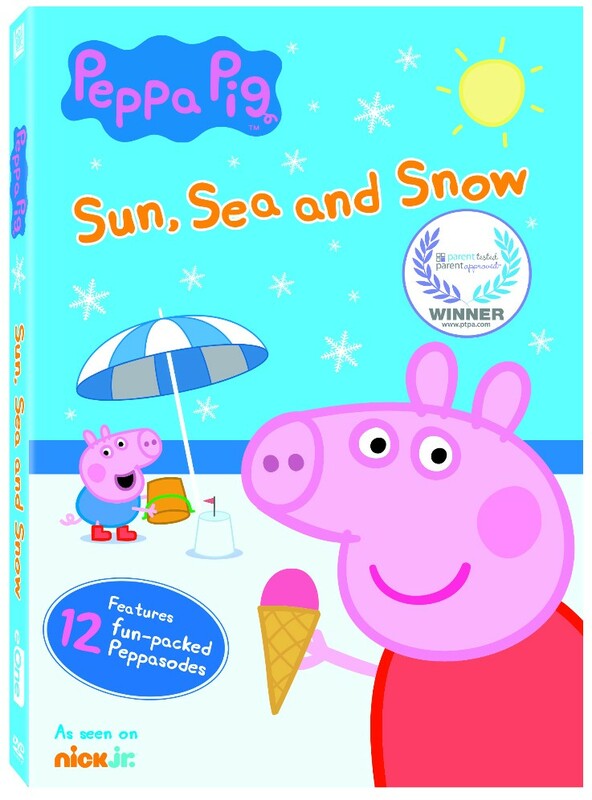 Just in time for the upcoming holidays, Peppa has a new adventure “PEPPA PIG: SUN SEA & SNOW” now available on DVD and the perfect stocking stuffer or perhaps a treat for a great report card!